Village Club Du Soleil is a French e-tourism company which books stays in their mountain & sea resorts in France with an all-inclusive offering. VCS business is strongly seasonal and, depending on that, a specific push for certain destinations and dates is needed to level offer and demand. It was necessary to set an extremely customized integration that met the specific needs of the online travel industry. After a period of data collection, deep behavioral analysis was used to identify user profiles with low conversion probability. 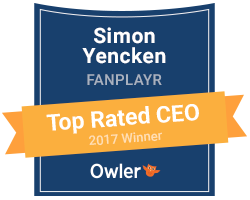 Different strategies were analyzed through A/B tests directly set from the Fanplayr platform in order to identify the most effective ones. Utilized approaches included optimized purchase incentives, targeted messaging and cart abandonment reduction. The outcome of the A/B tests showed immediately extremely positive numbers, showing a huge increase in the net revenue generated by the users targeted and more than doubled bookings.